Let me begin this post by wishing you and your loved ones a luminous 2017… Une année lumineuse. It’s been quite a year for Edward and I, and I’m excited to share some news with you. To celebrate this year, Edward and I were out with friends. 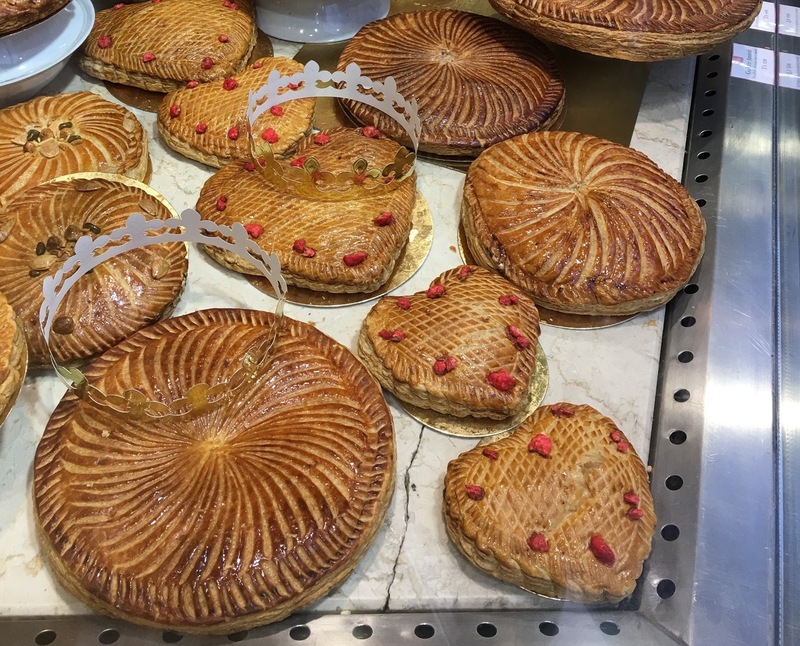 Edward was charged with cutting the galette and distributing the pieces. He surgically cut the cake in half and then carefully cut four pieces but… No fève. Et bien? Obviously, we had to eat the other half of the cake to find it! He cut two pieces for our guests, and then, when splitting the last part for himself and me, voilà, he hit gold! Well, a sort of gold—a golden fève. He separated the pieces, and half of the ceramic charm was exposed, the other side still embedded in my piece. So, he found it, but I had it. Our friends declared both of us winners and as there was still plenty of wine in our glasses we both enjoyed “To the king!” and “To the queen!” toasts. T’was a good way to start what we hope will be an extraordinary year for us. We are both healthy and bursting with plans. Let me tell you about the biggest change, and what we hope is going to be the next phase/stage of our lives. 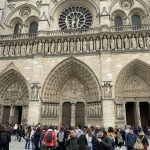 Edward said, “New York City,” and I said, “Paris,” where I’d just flown in from. Et voilà! That is our goal and wish for 2017: we hope to define what “goofing off” means for us, including driving around and wonderfully wasting time. We wish you the most beautiful new year, and a healthy goof off, too! 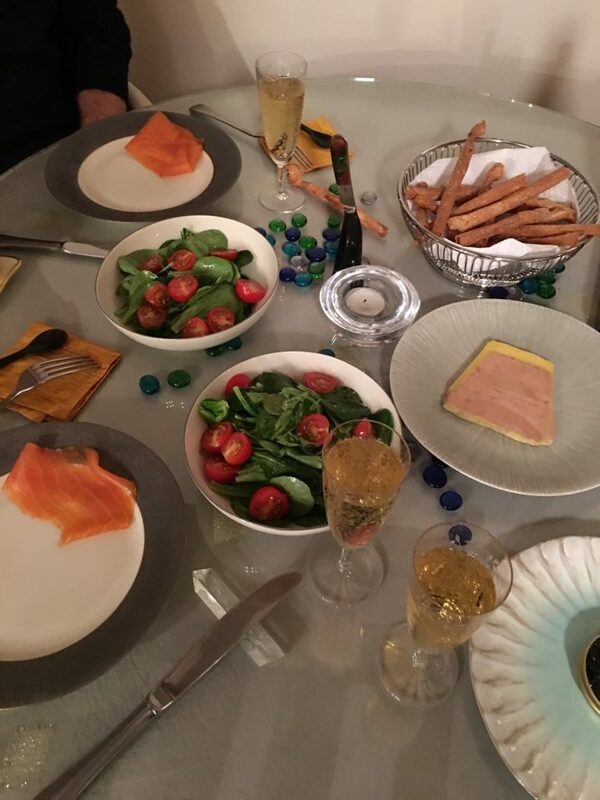 PS: Our New Year’s dinner was simple—salmon, salad, and bien sûr, champagne!